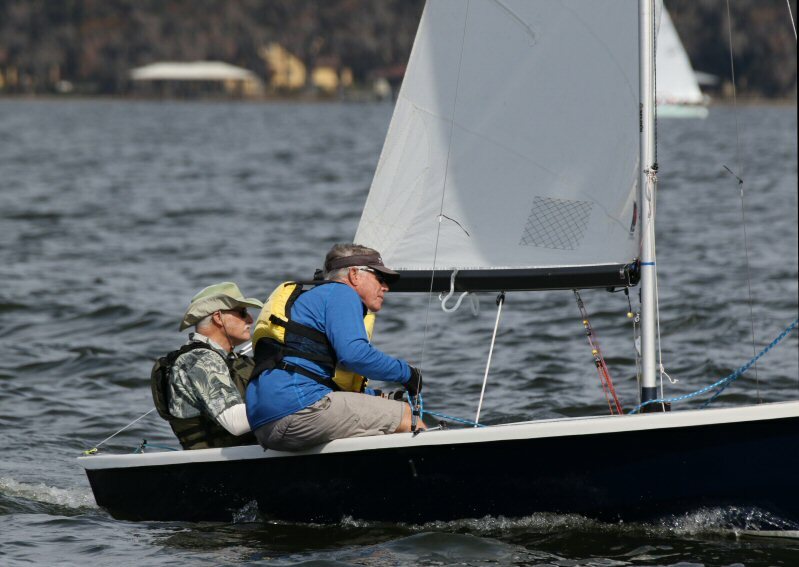 The Lake Eustis Sailing Club hosted the 49th annual George Washington's Birthday Regatta on February 16th and 17th with a "Flying Scot Clinic" added on February 14th and 15th. There were two courses; a "one design", or Course "A", for fleets with six or more entrants, and a course "B", for all others and youth. Although there were six registered Wayfarers, that number was reduced to four when one entrant was unable to attend, and two single-handed entrants decided to team up, as the wind was approaching 15 mph from the S-SSW, with increases predicted throughout the morning. Anyone who sailed last year's Midwinters, then subsequently the GWBR, remembers that there was not a wisp of air left over from the Midwinters for the GWBR. It turned into a drifter were few boats made the weather mark or the finish line in allotted time. This year was, thankfully and delightfully different. Even if only to teach some of us that it's not only how far we may have come, but to offer insight into how much more there is to learn. 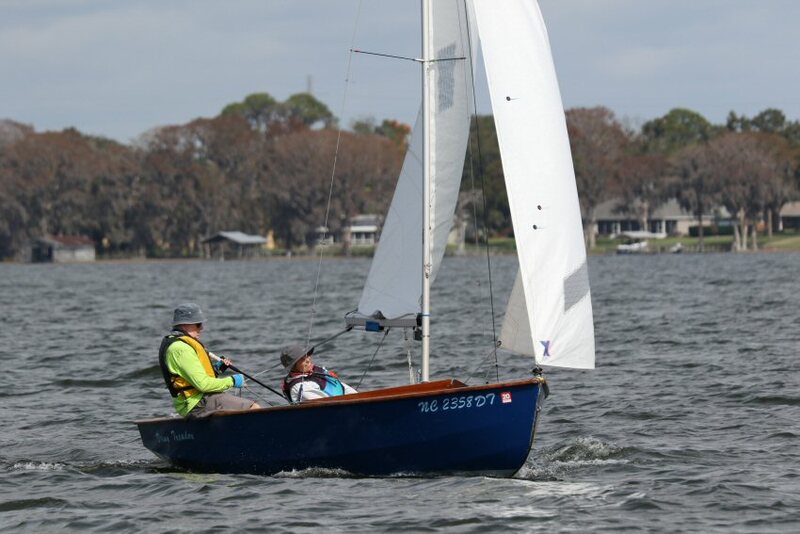 And so, while 37 Flying Scots and seven Highlanders, (San Juans noticeably absent this year), sailed out to the NW side of Lake Eustis, four Wayfarers found themselves on the windier SE end with seven Optimist Prams (sailing a shorter course), fifteen 420s, and five Lasers. Oh, and of course, the multitudes of parent and club power boats from Lake Eustis, Halifax in Daytona Beach, St. Augustine, and the Florida Yacht Club. David Leather from Lake Eustis officiated over seven great races, four on Saturday and three on Sunday. 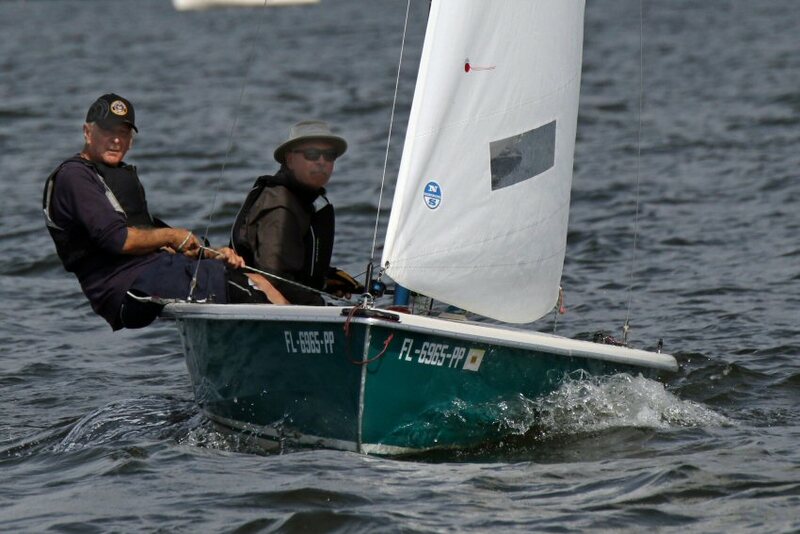 Dave provided 4 separate starts; Wayfarers, 420s, Lasers, and then Optis. (OK, truth to tell, I was too busy with winds approaching 18-20 mph to notice who started after me). 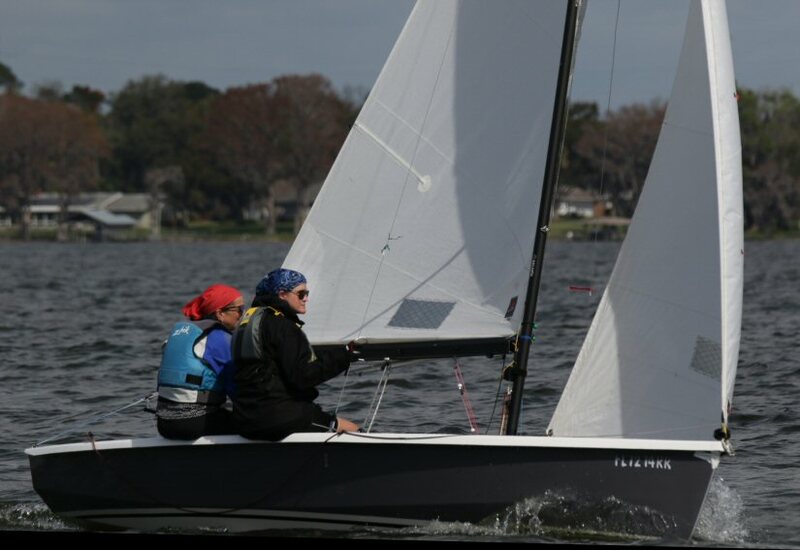 Jim and Linda Heffernan (above) sailed strong, managing heavy air on Saturday (gusts to 23), and shifty air on Sunday. They won five of the seven races and the series. Jim Burns and Mike Tighe (below) took series 2nd, and won the other two races. 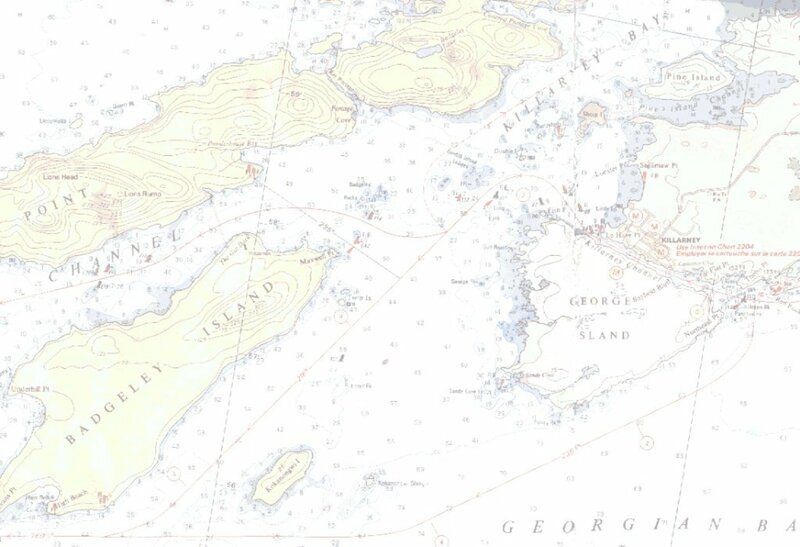 One was a half-length lead where Jim described sailing faster downwind than he ever had before.